Available for sale in late 2017 and 2018 will be a select amount of woodenware, as well as honeybees with queens of known genetics. Plan on your 2019 NUC Colony early! $100 deposit to secure your NUC colony – and the balance due at pickup of your NUC (cash only, please). 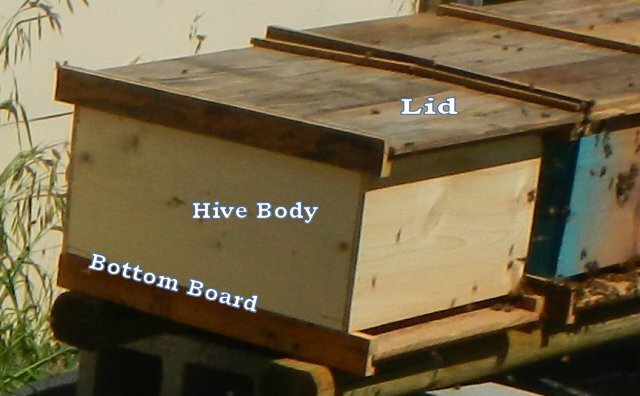 The wood used for the deep hive bodies is labeled and marketed as “utility shelving” at one of the “big box stores” (the one with blue & gray signage). It is 1×12 x 8′ in length. Some of the lumber I use is recycled from other projects. I was given the opportunity to get shiplap 1×8’s from a home that was being demolished – so my bottom board and lid designs are offered – with that in mind. Standard 1×8 (or other widths) will work as well. I highly suggest using both waterproof glue (i.e. Titebond III) as well as LOTS of long staples, or several deck screws to assemble your parts. Pre-drilling the holes can help avoid splitting wood. All dimensions can be altered (by you) for your personal use. If you want to make 8-frame boxes, then great! Or use the designs to make shorter honey supers. Be sure to check the “Fit to page” option when printing so that the pages will resize to your preferred printer output. the Pollen Feeder Follow Up post/video.